Visiting Nepal’s most popular touristic spots, cultural heritage & religious sites. 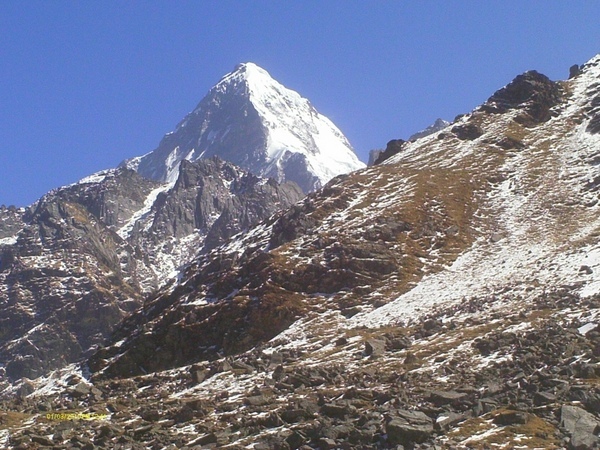 Breathtaking Mountain views of giants like Annapurna, Nilgiri, Himchuli, Lamjung and Machchhapuchhre. Experience unique cultures and traditional lifestyles of Nepalese, especially Tamangs, Magars and Gurungs. 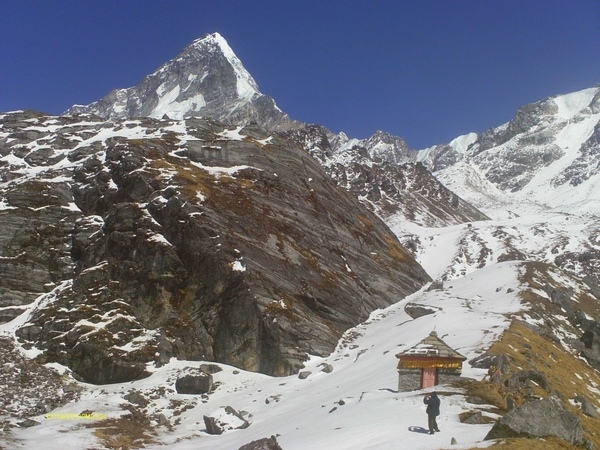 Khayer Lake trek is a new trekking destination in Annapurna area. 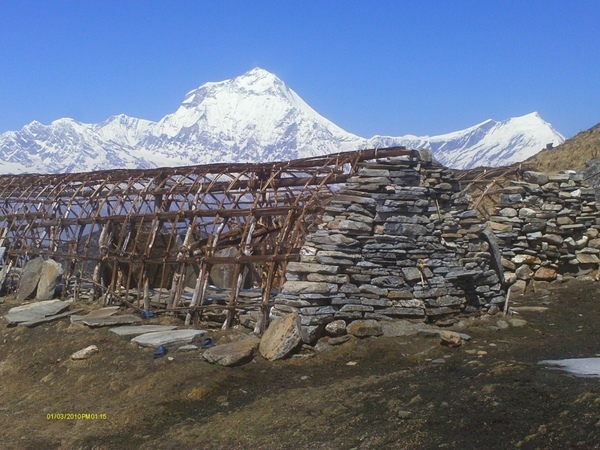 Khayar Lake trek mixed up the traditions of Gurung and Magar ethnicity and it also offers beautiful panorama of Mt. 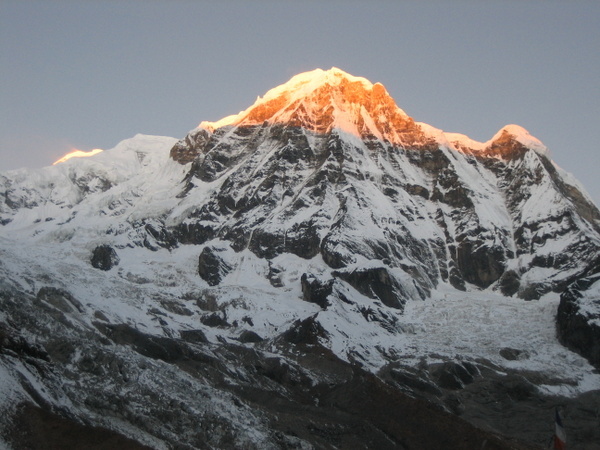 Annapurna, Dhaulagiri range and Nilgiri. 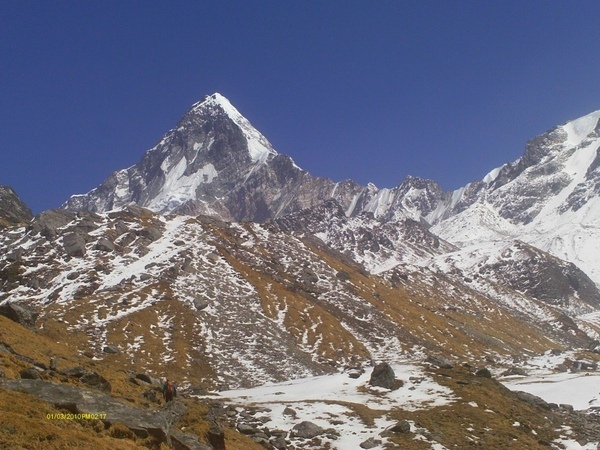 This trek is blended of culture, beautiful Mountain outlook and couple altitude challenging walk. This trek suit for people looking for less traveled trail in the Annapurna area. Full day sightseeing cultural tours in Swoyambhunath, Kathmandu Durbar Square, Boudhanath&Pashupatinath. Overnight hotel. Day 03: Drive from Kathmandu to Pokhara. Overnight hotel. Drive from Kathmandu to Pokharaby private vehicle following Prithvi highway. You will have a scenic drive as you will have an opportunity to see different landscape and nature beauty with panoramic views. On the way you will follow Trisuli River and Marshyandi River which is one of the most popular in Nepal for rafting. After arrival in Pokhara transfer to hotel. Day 04: Drive from Pokhara to Nayapul& trek start to Ghandruk. After having breakfast leave for trek, one and half hour drive to Nayapul (42k.m).The drive gives you wonderful chance to see the view of full Pokhara valley with Annapurna & Fishtail in background. We walk through the busy trading post of Nayapul. We cross a small stream via suspension bridge and continue on a dirt road before crossing the Modi River to reach Birethanti. At Birethanti, the trekking permits are checked at the Annapurna Conservation Check Post. From Birethanti, we turn right after crossing the Modi River and aim to reach Ghandruk about 4-5 hours steep hill trial. The trial towards Tadapani is ascending, but an easier walk, leaving the terraced hillsides and the village of Ghandruk behind we enter oak and rhododendron forest. This is a particularly pretty part of the walk, the forest often alive with the sound of birds, the small tumbling waterfalls and if you visit in spring, (late March to April) the rhododendron in full bloom. There are fine views of Annapurna II (7937m), Annapurna III (7555m), Annapurna IV (7525m), Annapurna South (7237m), Machhapuchhare (6993m) and LamjungHimal (6931m) along the way. Our lodge at Tadapani is the perfect setting for sunset and sunrise views. We leave the main trail that leads to Ghorepani and follow a rarely used trail initially through a thick rhododendron forest that leads to local water buffalo pastures. The climb is gradual and we soon emerge above the tree line to superb views of the Annapurna range. We take lunch by a small stream and then continue to climb gradually though open countryside to reach a small pass, where our trail descends through rhododendron to an open clearing known as BayliKharka and our lodge. From the lodge there are great views of Dhaulagiri Himal. This morning we descend through open ground and forest to reach the pastures of Lower Chistibung, where we have lunch. After lunch we continue to walk through forest, ascending gradually and passing through several buffalo grazing pastures to reach a clearing and temporary herder’s settlement at Upper Chistibung, where we stay in the small community lodge. 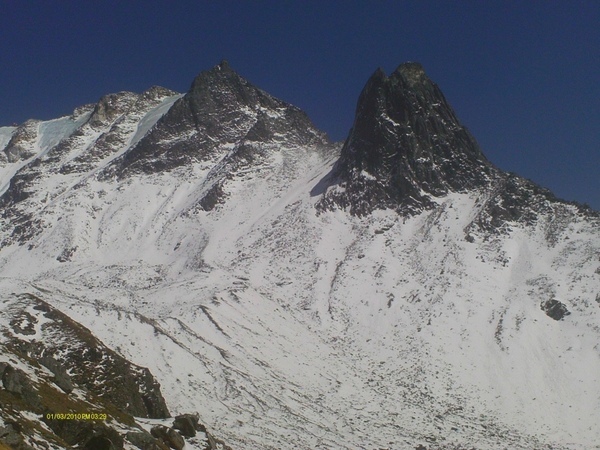 Day 08: Trek to Kopra Ridge (3600m). To reach the ridge at Kopra we have a steady climb that takes us above the tree line. This area is noted for wildlife and we should keep our eyes open for Himalayan tahr and Danfe pheasant. The best way to tackle the climb is to ascend steadily, take our time and rest as often as we wish. 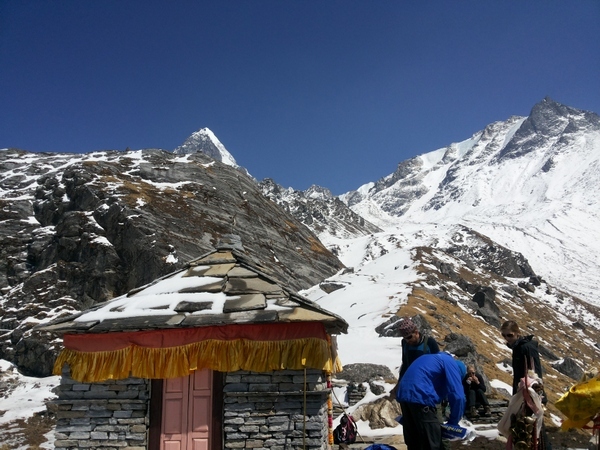 We reach our lodge on Kopra Ridge on time for lunch and we will be greeted more fantastic views. This extraordinary panorama includes Annapurna South, towering directly above and only six kilometers away, and Fang and Nilgiriprominent to the north, whilst across the depths of the Kali Gandakhi Valley, the Dhaulagiri Himal dominates the entire western skyline. We need to start early morning around 6 am and we must take pack lunch and dry food. It is most of the part nice trail but near the lake we need to care full because much steep part. Khayar Lake is sacred lake holy lake for Hinduism pilgrimage. They go to pray and sacrifice to Goat male every fool moon day on July or on August. It is very sacred lake where considered abode of the Goddess of KhayarBarahi. If you can must visit in sacred lake most important to touch the lake. From Kopra Ridge we descend off the hillside and continue steeply downhill. We retrace our route back to Chistibung. Walk all the way down and reachTatopani. Tatopani is a Nepali word which means Hot water. There is a natural hot spring, so after a week trekking you can enjoy the hot bath and be fresh in Hot spring. Stay overnight at lodge. Day 12: Drive from Tatopani to Pokhara, overnight hotel. Day 13: Drive from Pokhara to coffee farm in Dhading. Overnight at Country Paradise Resort. Today you will enjoy your day at resort by exploring the coffee farm. Rest and enjoy the nature, you will see different panoramic views of the mountains from the resort.